We departed Peniche at 07:30 into a sunny haze. 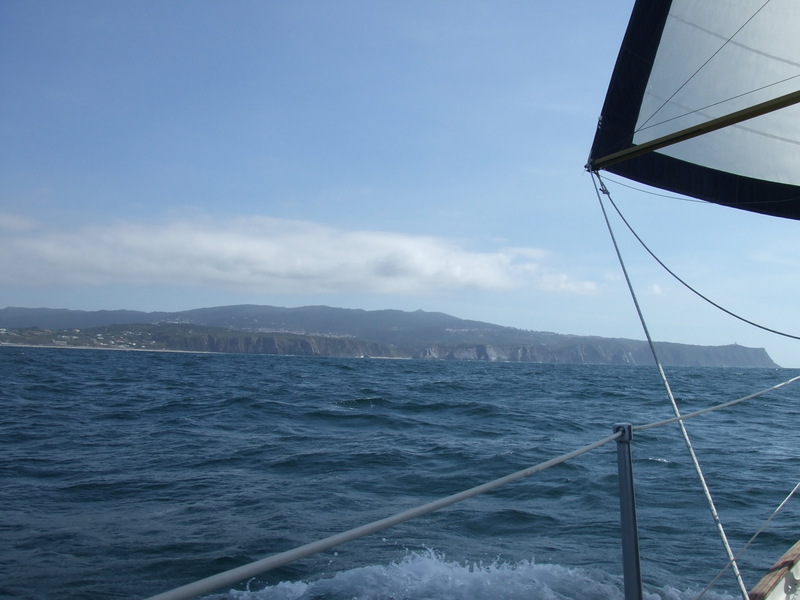 We motored for an hour out to sea to try and pick up a breeze, which we did at about 5 cables off shore. 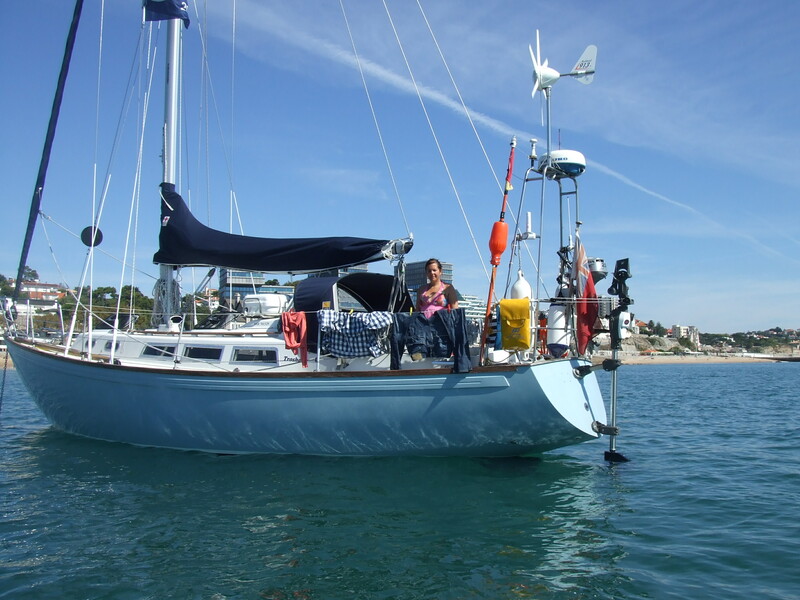 The wind was Northerly with a touch of Easterly; perfect conditions to pole out – so we did and enjoyed a run of 40 miles in ‘down-wind’ mode with the main to Starboard and Genoa polled out to port. I have to say that this day was by far the best sail we have had. 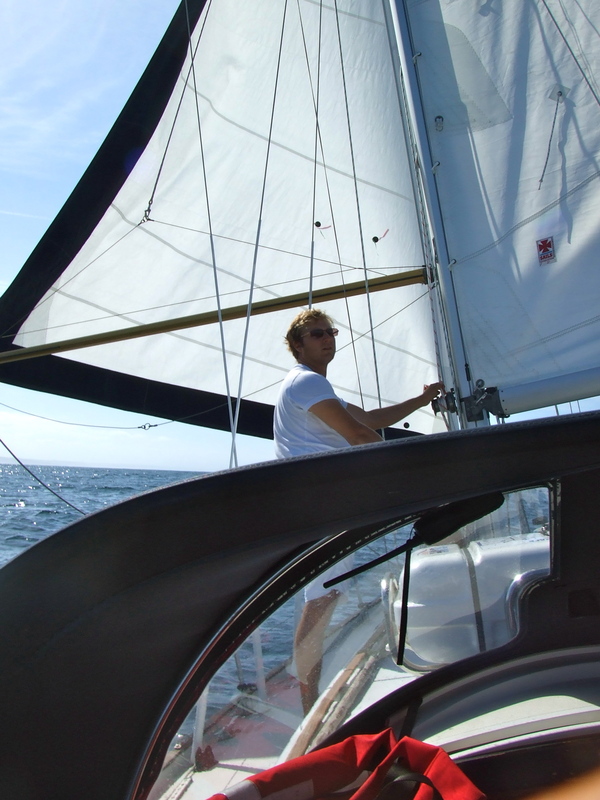 We averaged 5.5 knots with the wind picking up by 12:00 to 15 knots from behind. I managed to get the fishing rod set up and was happily trailing our para-vane and rig in the hope of catching tonight’s dinner. After an hour our speed increased and on one occasion of trying to retrieve the rig the line snapped and the lot was lost – need a stronger line. 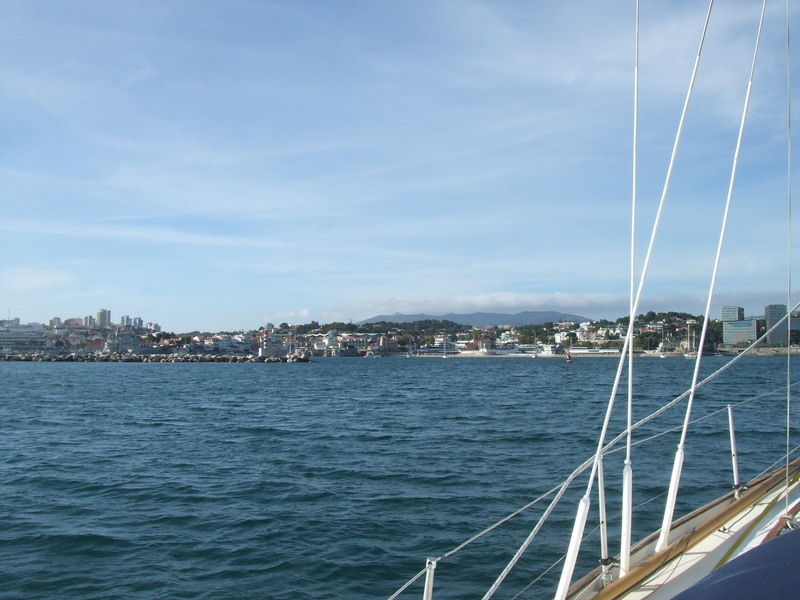 Once we rounded the peninsular into the River Tejo heading to Lisbon the wind picked up to 20 knots so we reduced Genoa and ran the rest of the way under Main Sail into our anchorage at Cascais. 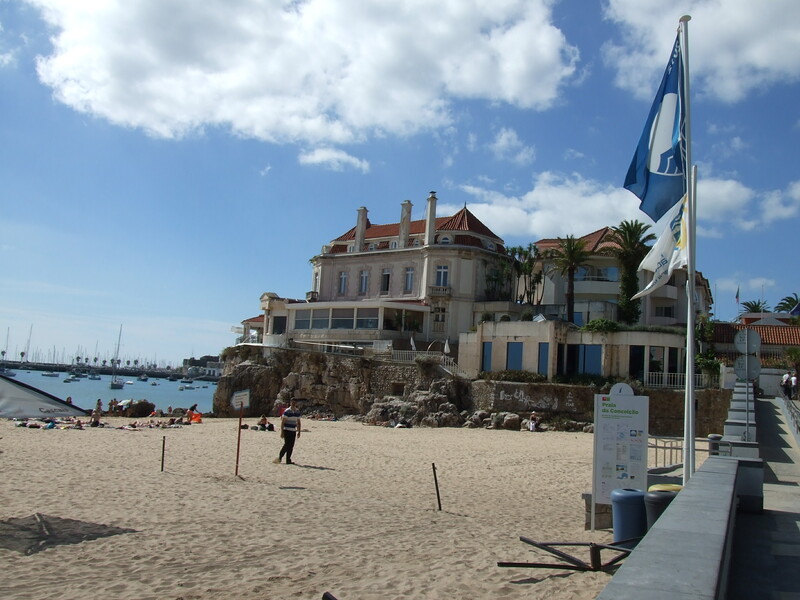 The anchorage at Cascais is situated to the NE side of the marina and gives perfect shelter from most winds apart from southerly. 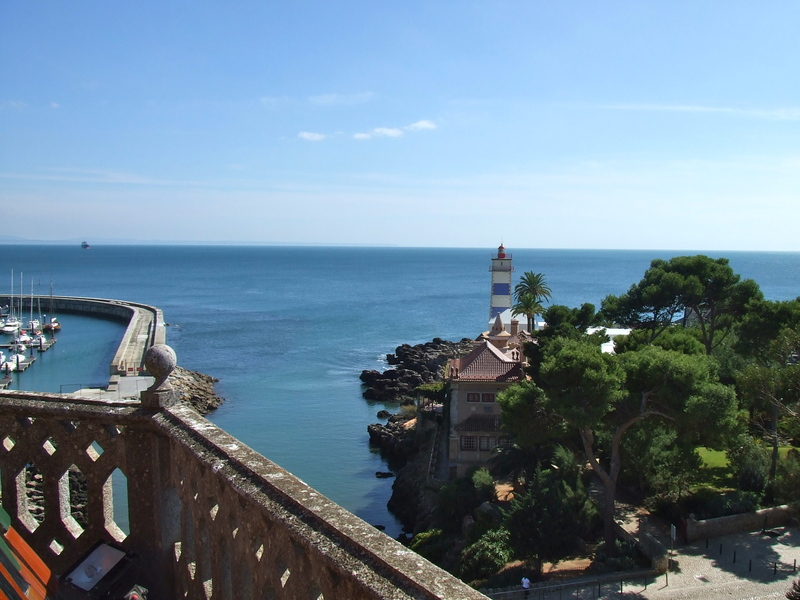 We really have found the perfect anchorage and will be in no rush to head to Lisbon. 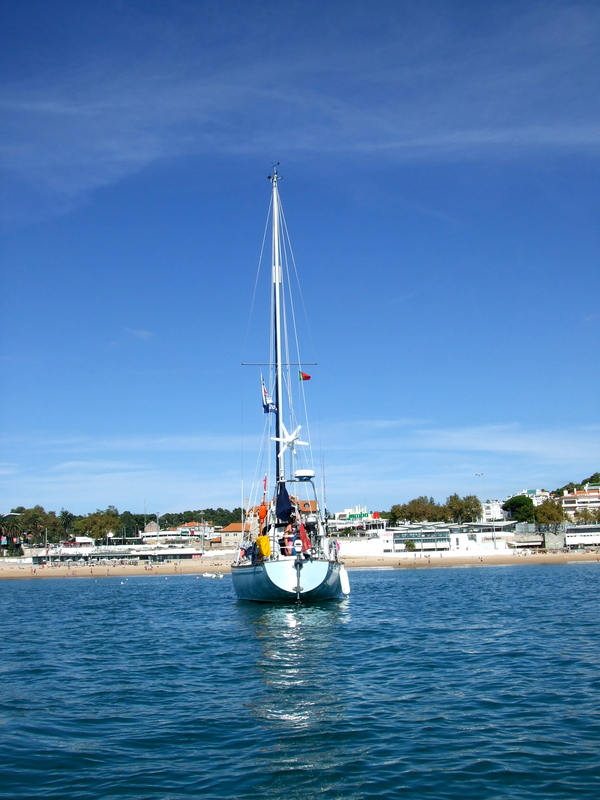 We are anchored 2 cables of a spectacular beach with bars, showers and a massive supermarket only 5 minutes walk away. We intend to stay here until our water runs out; it is now Thursday and we still have plenty so it looks like a few more beach days are in order. 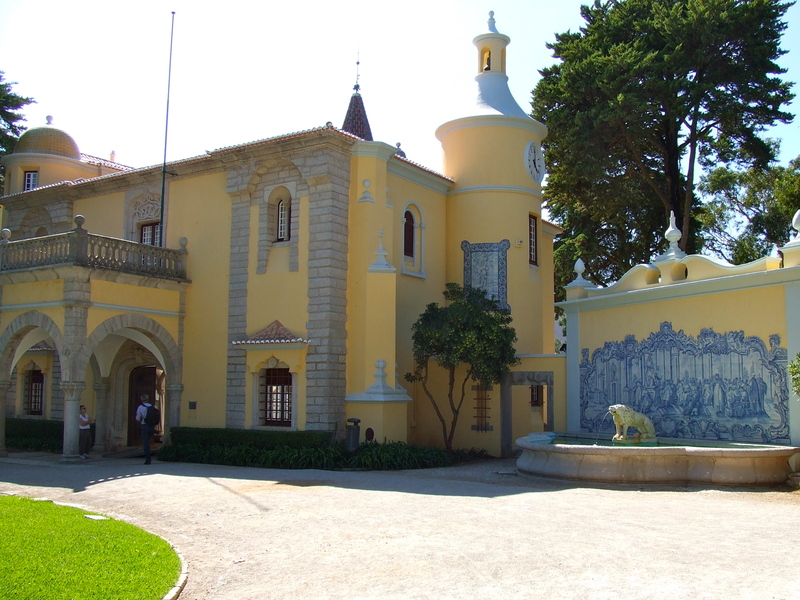 Cascais itself is a pretty town with many historic buildings. Today we went to a house that has been turned into a museum. The house was originally built by the O’Neil family in 1900. It has maintained it’s original features from that era. We spent a fantastic afternoon there looking around grand rooms and enjoying the spectacular views from the roof top. 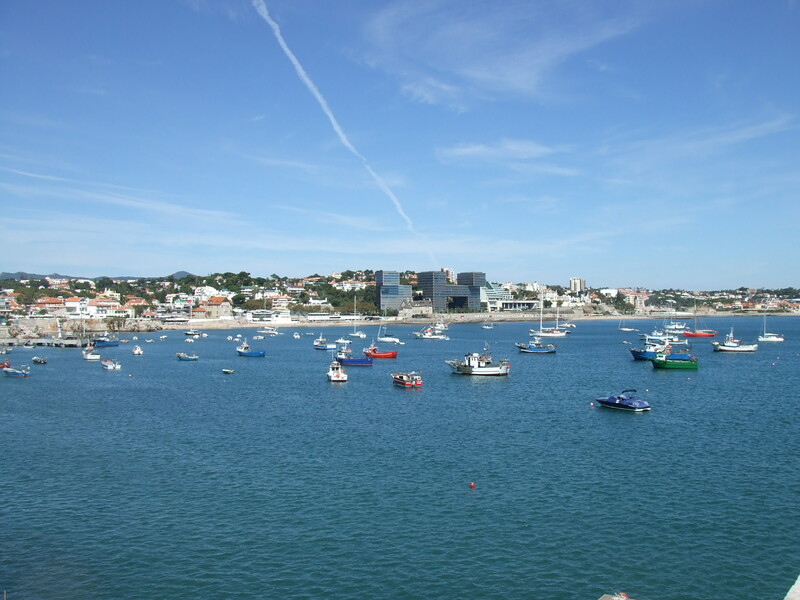 Cascais is certainly worth a visit, the climate is perfect. Yesterday the temperature reached 32 degrees centigrade and today it is said to reach 33, so finally we have our summer, which was sorely missed in the UK. The only thing that spoils the town is the main square. 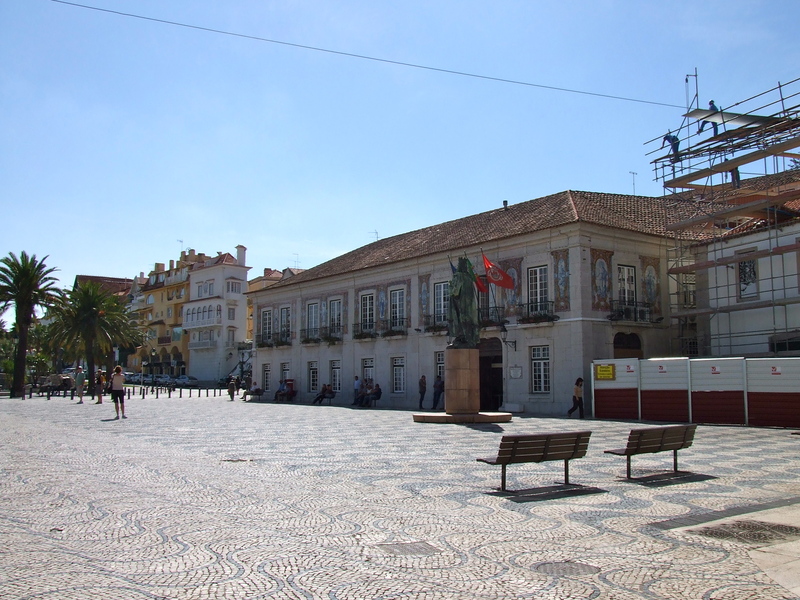 In the evenings you have live Portuguese music playing but all around the bars have been turned into cheap British Bars named the ‘John Bull’ or ‘The Harley Davidson Bar’ where you can buy a Full English or Pie and Chips. 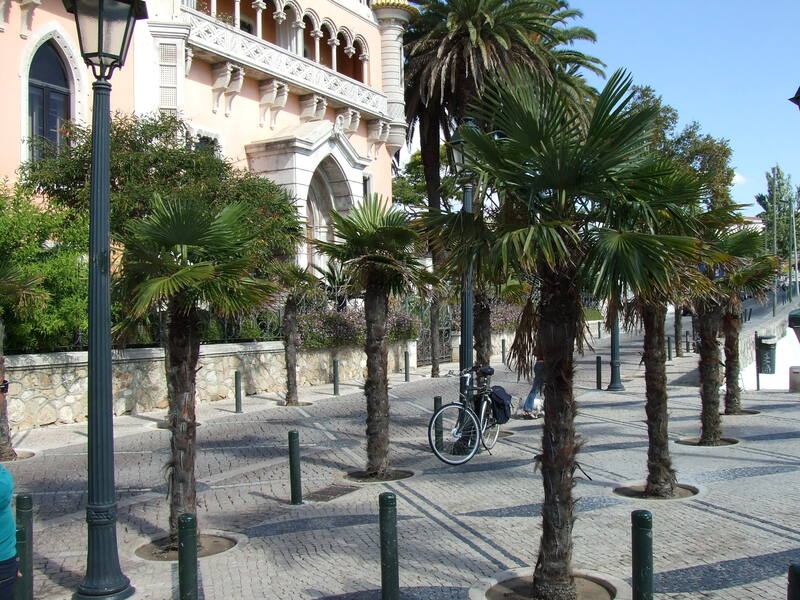 I will never understand why the town council allowed this to happen to one of the nicest areas in Cascais. We took a look around the square one night and were confronted by track-suite wearers with no hair and gold chains – we moved on as the night would probably end up like Watford on a Saturday night. 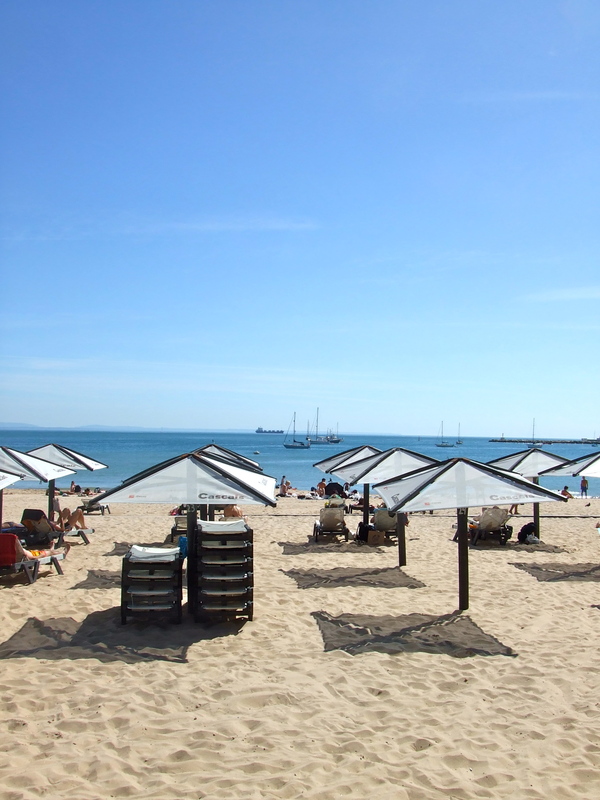 One Bar on the beach is called ‘John David’s Bar’. Outside they have a sign stating: Slow Service, Dirty Glasses, Poor Food, Rude Staff, Expensive, English Humor – Try Us. Er, no thanks, if that is how they sell British Cuisine and service they are obviously imbeciles. 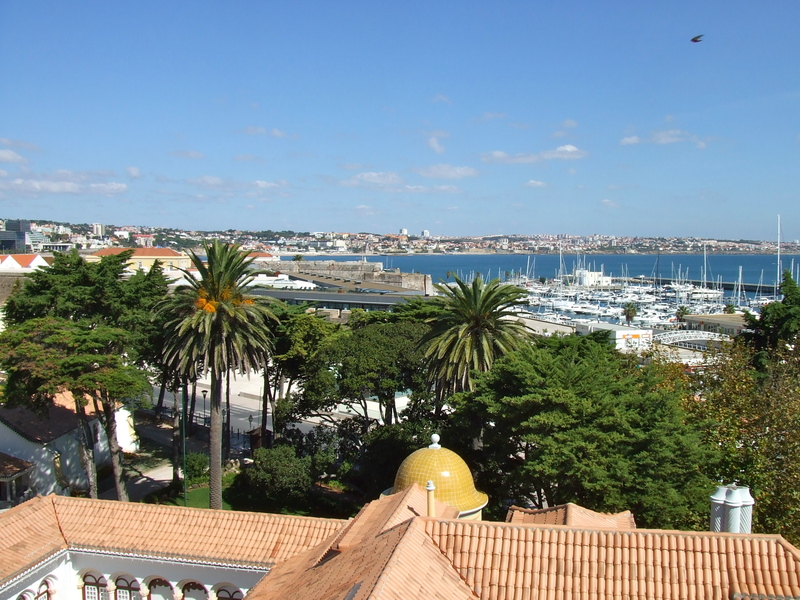 We have now made the Executive decision to stay in Cascais until the weekend and then head to Lisbon. 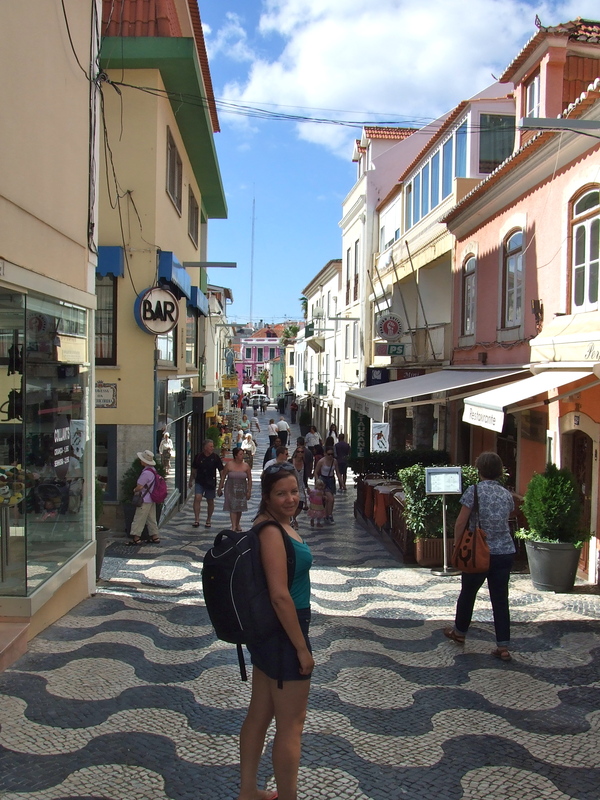 We are then going to head down to the Algarve and onto Southern Spain before ducking into the Mediterranean and then onto Morocco. Whats your stops going to be in Morocco? Hello Matey. 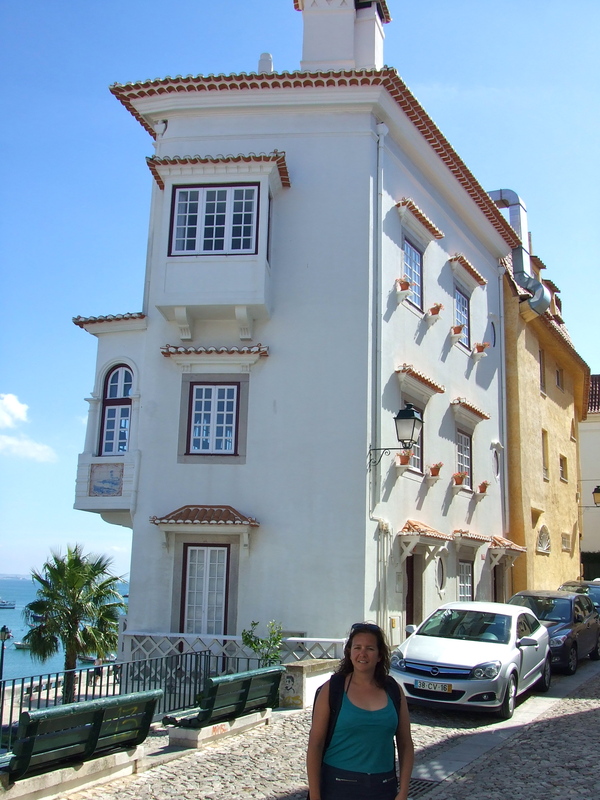 We will leave Cascais next week and head to Sines, Sargress, Lagos, Albufera, Faro, Cadiz, Tangiers, El Jadidad. That is what I have so far. Are you thinking of joining us? It would be great to have you both along. Hope you are well. Hope all is going well mate. 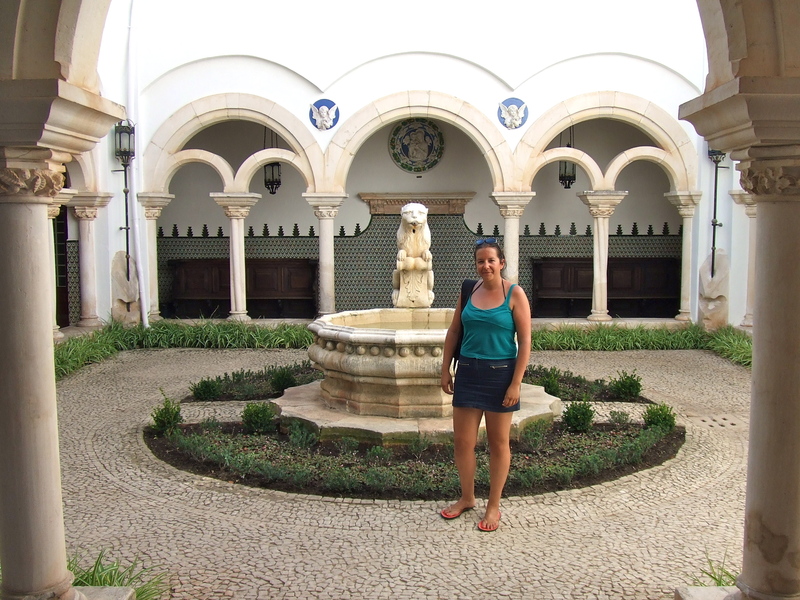 I’ve been following the blog but bit behind so need to catch up to the latest post. Its a great way to detail your adventure. I did send you a text just before you set off but you must have cancelled your phone beforehand. Have noticed Troskala has been removed from the Transom. Whys that? Hello Mate. 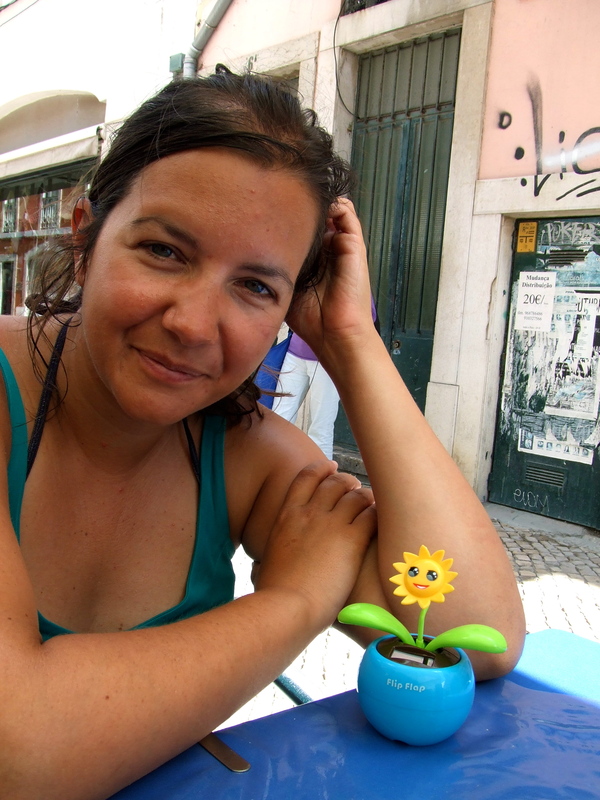 I was only thinking of you the other day as I was staying with Pedro for a week in Portugal. Nice to here from you. How are things, are you well, your Dad, Mum? Fancy coming to join us soon? We had the name removed off the back as we had a self steering system fitted so it covered the name and looked a bit cheap. Anyway, please could you send me your updated email address and contact details. Email: yachttroskala@gmail.com. By the way, did you see the video? Send my regards to your Dad and I hope all is going well for you. I’m alright mate, mum and dad are ok too. Mum went to Kenya this year on a safari so doing a bit of world exploration like yourself. I’ve watched the video, very good, bet you enjoyed the crossing and the challenges it created. Some serious beard competition going on too. There’s a funny reaction from Carlotta at 2:44 where she looks around very quickly with a concerned expression (possibly at some large wave approaching). From the photos of the trip so far you seem to be enjoying alot of people’s private pools on your way south! I’ll send you an e-mail with my details mate. Speak soon. Cheers mate, I really appreciate your comment and sorry for being so bad at keeping in touch. Send my best wishes to your Mum and Dad and you join us if you can it would be great to have your company again. I look forward to your email and hearing about what you have been up to and what model car you have now. All the best mate and look after yourself.